Come feel the difference and enjoy the peaceful crackling and popping sound of Wallys Ear Company Hollow Lavender Beeswax Candles. 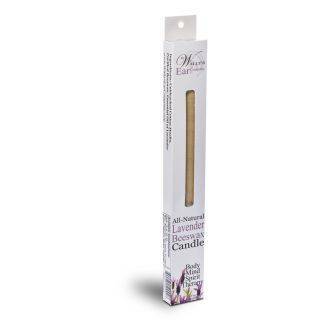 Wallys has been helping customers feel better for over twenty years with its all natural Hollow Lavender Beeswax Candles. In every 2 pack box youll receive two individual All-Natural Lavender Beeswax Multi-Purpose Hollow Candles and printed lighting instructions.